Getting JSAPI setup to work using freetts seems to be quite difficult as seen by here, here, here…..
and deposited into the lib directory. 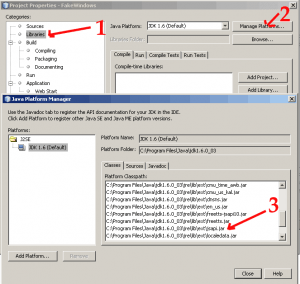 Check in netbeans your projects properties ie right click on project->properties->libraries->manage platforms and the jars should be listed there. If they are not, restart and hopefully they should now be there. Any problems, post here and I will try to help you out. 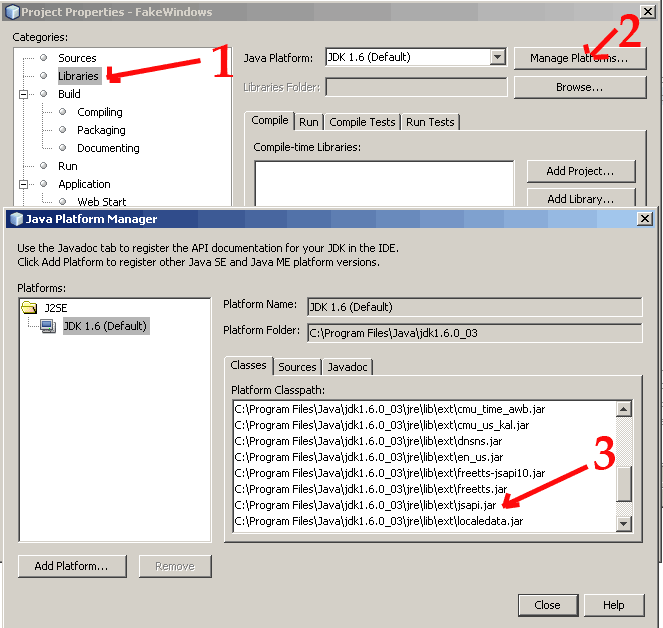 Next Post Best Method of Creating Windows Installer for Java Programs.